NOTE: Our website has changed. Please visit rabbit.org for our new website and http://rabbit.org/frequently-asked-questions/ for our new FAQ pages. We've compiled documents containing the most Frequently Asked Questions (FAQs) about every major house rabbit topic. These FAQs are just a starting point; for more thorough coverage of all aspects of house rabbit care, we suggest you read House Rabbit Handbook. 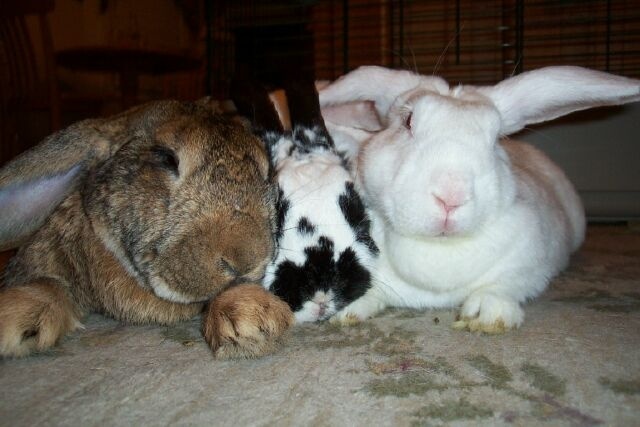 Are Multiple Rabbits Right for You?